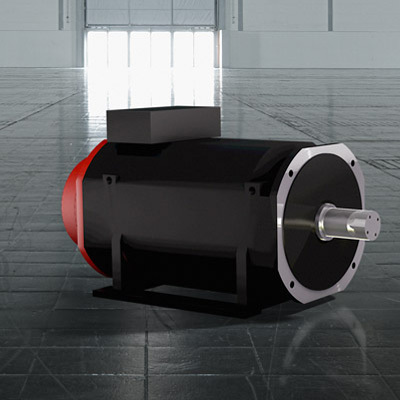 Power Motion i-A has been designed for a wide range of complex, high-performance general motion applications involving multiple axes, paths, speeds and torque controls. Ideally suited to press machines, loaders, stamping machines, wire saw, winding machines, filling machines and many more, it also provides a great low cost solution for picking and placing applications. 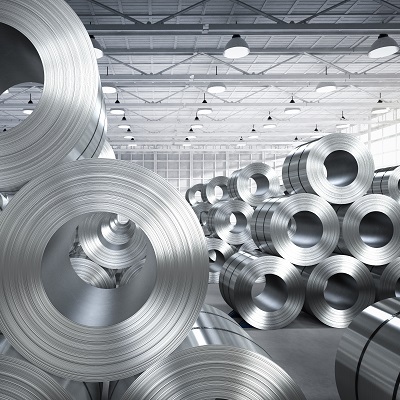 Often faster and offering more possibilities than conventional solutions, one control is sufficient to manage loading and unloading processes on an entire production line using a rail and several robots. 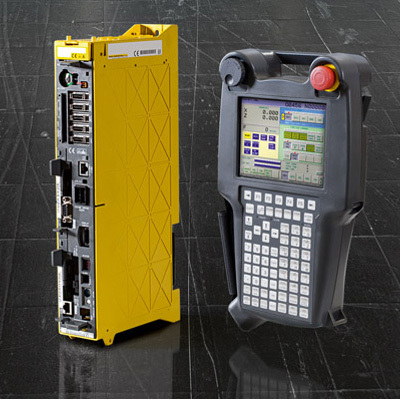 Power Motion i-A keeps cycle times to a minimum thanks to quick axis start and stop, high-speed PMC / PLC ladder execution and a very fast response to external signals. This makes it ideally suited to providing the accuracy and speed demanded by machines used in packaging, wrapping, marking, stamping and cutting. Even in the harshest of operating environments, Power Motion i-A’s rock solid hardware ensures flawless operation and superior performance from the control, servos and PMC. And in the unlikely event an issue should arise, a wide range of diagnostic functions ensures that problems can be identified and rectified quickly and easily. Power Motion’s large-scale system LSI also reduces the parts count significantly, with the entire CNC system protected by Error Correcting Code (ECC) and modularised components making part replacement quick and easy. 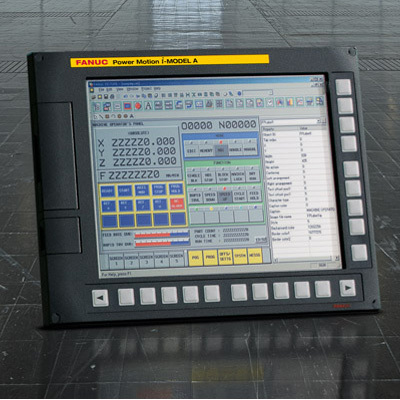 Power Motion is available as an LCD-mounted or stand-alone type CNC. 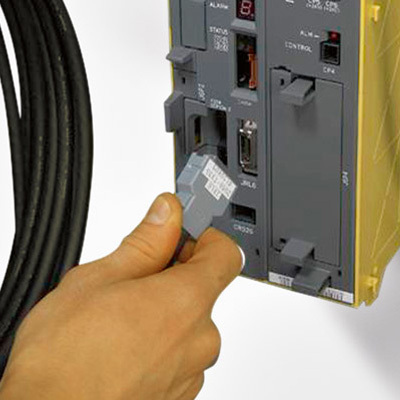 The LCD-mounted type is easy to integrate and benefits from a compact design and minimal wiring. The stand-alone version allows a single display to be interfaced with up to eight stand-alone Power Motion i controls via Ethernet. 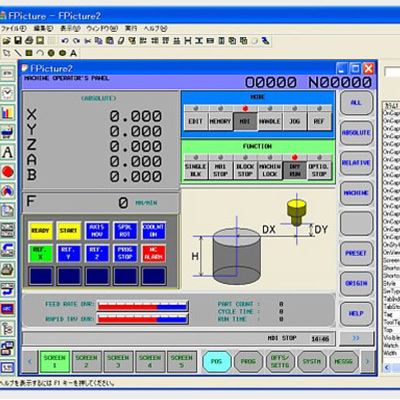 The Ethernet Display Function can also be used to display screens on a PC. 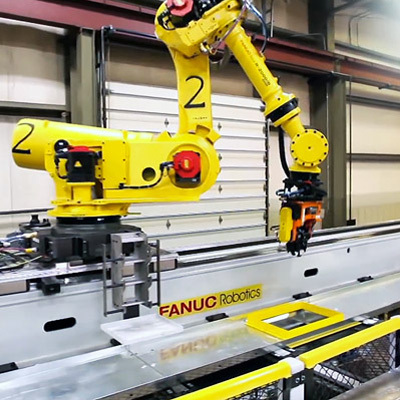 FANUC Power Motion is the ideal alternative for large servo applications like press machines. Replacing hydraulic mechanisms with a servomotor is quick and easy. The results are less power consumption and more control and precision than is possible using hydraulic technology. Cycle times are also reduced thanks to a high-speed response function for quick axis start/stop and a high-speed execution cycle. Material stress, say on the die cushion, is also reduced. In order to meet specific industry and European standards integrated safety features are also available. 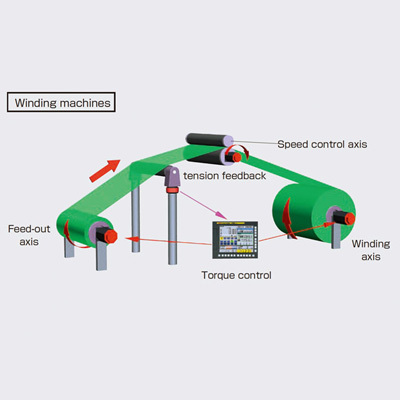 Delivering the precise control required to maintain constant tension, FANUC Power Motion’s torque control is perfectly suited to applications such as winding. On applications of this kind, both the feed and winding axes can be controlled independently to keep tension constant at all times. Ready to use and supplied with an integrated software package and pre-developed screens, Power Motion features plug and play technology, connecting to your machine via just one cable. Time taken to program motions is reduced from one week to one day. 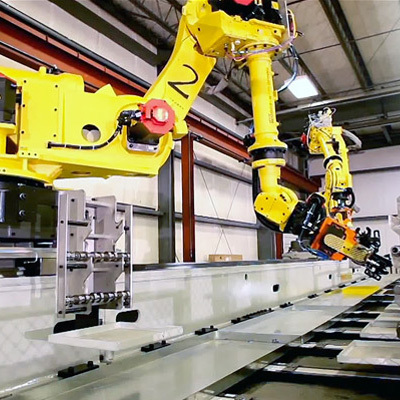 Power Motion i-MODEL A integrates seamlessly and quickly into production systems. 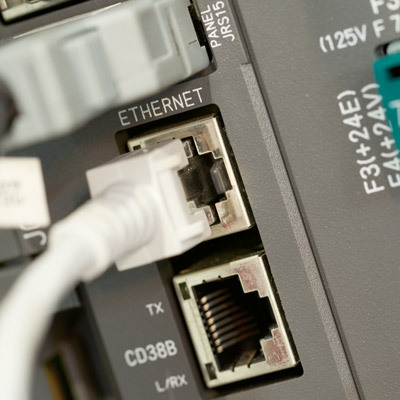 When it comes to constructing sophisticated and distributed control systems, this model boasts the widest range of field network support including Ethernet/IP, PROFIBUS-DP, DeviceNet, FL-net and CC-Link. 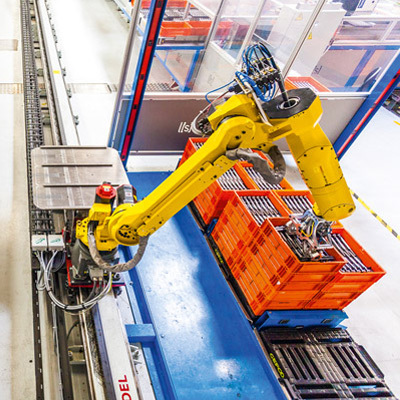 A robot interface via Ethernet simplifies material handling integration.